Editors Note: this blog is from one of our affiliate partners, Cerasis. Cerasis provides customized freight and logistics solutions for shippers in North America, yielding hard & soft cost savings through proprietary transportation technology and managed transportation services with a focus on LTL freight management. Hiring veterans is the focus of the Get Skills to Work coalition, a collaboration sponsored by General Electric that combines manufacturers, educational institutions, and veterans advocates to prepare our soldiers for manufacturing careers. From tying Your Shoe To Exceeding Your Customers Needs. Everything You Need To Know About Process Management. What are three key components to successful process management system within your operation? We’re Going To Need A Bigger Boat…. 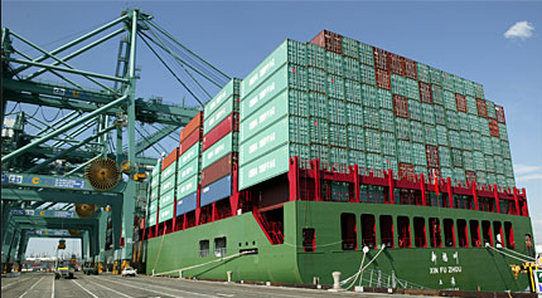 Since containerization of freight began in the 1940’s, the size of container ships has increased year by year. In recent years we have seen ships of unprecedented size be introduced on the China – US trade lanes. Ship size and capacity is measured by TEUs (Twenty-Foot Equivalent Units), or how many 20 foot ocean containers a vessel can carry. In 1956, an average ship carried between 60 to 500 TEUs. The newest vessels, nicknamed the Triple E Class, can carry 18,000 TEUs. What does that mean for the US import market and for the infrastructure that is supposed to handle these new monster vessels? Since I am an amateur historian at heart, let’s take a look at this from the lens of history. Size has always mattered in the shipping industry, dating back to the beginning of the 20th Century and the golden age of the Ocean Liner. Before the advent of safe, trans-ocean flight, the Ocean Liner was the only way to cross vast distances of ocean. Despite the glitz and glamour of a lot of these ships, the majority of passengers and fares were represented by immigrant trade. These ships were designed with this vital cargo in mind. And bigger was always better. Here are six winter driving tips for the over the road driver to help cut down on the risks associated with severe weather driving. Customers. The one thing that everyone in the transportation industry needs (and wants) to keep their business thriving. There’s no one thing that will keep a customer loyal to you. In fact, one mistake can be the end all. As our Vice President Gene Kaiser stated in the “What Being in Business for 100 Years Really Means” blog post: “Well, many customers today only care about, “What have you done for me lately?” One bad experience can destroy a business relationship even if you've delivered excellent service the previous ninety-nine attempts.” So what does one do to try and keep their customers around? What unites us all – Our Mission and why putting Christ first is important. At HHI companies, we are like one big family. Like any family you have your ups and downs but overall it is GREAT to be part of this family. We believe in living a singular life so being at work is no different from being at home, church, with family & friends, etc. So what does that mean? If you live a singular life you are the same no matter where you are. Of course - having a singular life we hope that all of “our family” has their life centered in Christ. DRIVER SHORTAGES – All modes of the logistics industry are seeing a shortage of drivers. The new Hours of Service regulations have limited the number of consistent hours a driver may be behind the wheel. This plus fewer and fewer drivers entering the workforce (driving a truck just is not seen as an attractive vocation for younger workers), has severely strained the available pool of drivers. 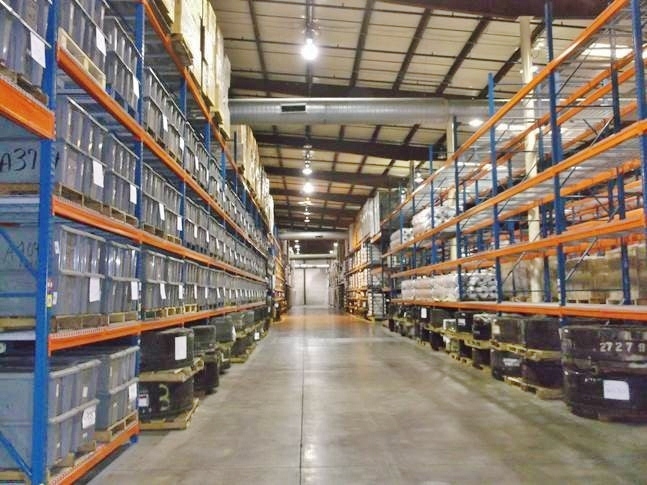 What’s Racking Got To Do With Warehousing? Racking? So what’s that all involve? When we think about warehouses we picture tall ceilings, lots of floor space, and a place to store product.....but is that all? Absolutely not! How about we concoct a recipe. What Being In Business For 100 Years Really Means. Our first thought to this question was, “Not much, really.” Why? Well, many customers today only care about, “What have you done for me lately?” One bad experience can destroy a business relationship even if you’ve delivered excellent service the previous ninety-nine attempts.